UPSC (Union Public Service Commission): Everything You Need To Know About! UPSC (Union Public Service Commission) is India’s central agency which conducts exams like Civil Services Exam (CSE) to recruit candidates into top government services like IAS, IPS, IFS etc. Civil Services Examination (CSE) is one of the most popular exams conducted by UPSC. It is widely known as ‘IAS exam’ even though CSE is a common exam to recruit candidates to about 24 top government services like IAS, IPS, IFS, IRS etc. The exam window extends over a year (from June month of a year to June month next year when the results are announced). How to Prepare for Civil Services Exam (IAS/IPS/IFS)? If you are just beginning UPSC preparation, we suggest you start from our post – IAS beginner’s guide. Also, understand the eligibility criteria for writing the IAS/IPS exam. If you have questions in your mind, just go through our article ‘frequently asked questions on IAS exam preparation‘. A good understanding of the Union Public Service Commission syllabus is the first step for all freshers. Prelims – The Civil Services Preliminary exam comprises of two compulsory papers of 200 marks each (General Studies Paper I and General Studies Paper II). The questions will be of multiple choice, objective type. The marks in prelims will not be counted for final ranking, but just for qualification for the main exam. Mains – The written examination (main) will consist of the nine papers, but only 7 papers will be counted for final merit ranking. For the rest two papers, the candidate should secure minimum marks prescribed by the commission each year. Interview – The candidate will be interviewed by a Board who will have before them a record of his/her career. He/she will be asked questions on matters of general interest. A candidate’s rank in Civil Service Exam depends only on the mark scored in Main and Interview. The main exam has 1750 marks while interview has 275 marks. UPSC Online Preparation – Clear IAS by Self-Study! In this online age, it is possible to clear IAS/IPS exam by self-study. 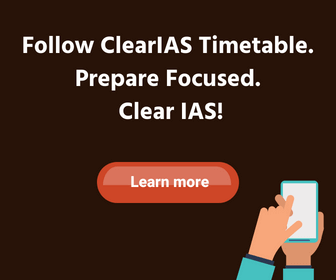 ClearIAS provides free IAS online coaching, books and free online study materials with a vision that no candidate should be left out due to the inaccessibility of expensive IAS classroom coaching. Also, refer our topper’s interview section to get better insights regarding the exam preparation. Do first things first! Not last! If you have decided that self-study and online preparation is your choice for the Civil Service Exam – then the first step you should make is to join ClearIAS Prelims Online Mock Test Series. We recommend taking ClearIAS Mock Exams right from the time you begin IAS exam preparation. Ideally, you should study what we mention in the timetable for a week, and then take a mock exam on weekends. By adopting this approach, you will never go deviated and will get a quick idea of the Civil Services Exam requirements. ClearIAS has written a lot of articles on this website covering useful strategies for the IAS exam. Regularly check our blog. How much advance preparation is needed before the Prelims? It varies from candidate to candidate. Most of the serious candidates start at-least 1 year in advance. However, there are many who cleared with less than 6 months of preparation. If you are a late starter, we recommend you to adopt ClearIAS Test-based approach, to learn faster. Civil Service Prelims 6 Month Strategy – How Can You Clear Prelims in 6 Months? Are you wondering how to apply for UPSC Exams? You need to apply online. There is a website for UPSC online applications – https://upsconline.nic.in/. Once the application window for an exam opens (usually in Feb for UPSC CSE), you can apply online. NB: We have addressed 50+ common queries and concerns of aspirants regarding UPSC Online Application process here. Usually, UPSC conducts the Civil Services Preliminary Exam in June. The Main Exam is usually conducted in September. The Personality Test takes almost 3 months to finish. UPSC conducts the CSE interview (or personality test) in the months February – April. If you are appearing for UPSC Civil Services Preliminary Exam 2019, you can check Prelims 2019 date here. For more details regarding the dates of UPSC exams and their notifications in this year, check the calendar of exams conducted by Union Public Services Commission. Results of all exams conducted by UPSC as well as notifications for future exams will be published on the homepage of the official website itself. For future reference, you can check the same from the UPSC exam results page on ClearIAS.com. Previous Year Question Papers of various exams conducted by UPSC are available online. Check the link to download previous year question papers of UPSC as PDF. Indian Forestry Services Examination (IFoS). Central Armed Police Forces Examination (CAPF). Indian Economic Service and Indian Statistical Service (IES/ISS). Combined Geo-Scientist and Geologist Examination. Special Class Railway Apprentices Exam (SCRA). Limited Departmental Competitive Examination for selection of Assistant Commandant. (Executive) in CISF. National Defence Academy & Naval Academy Examination – NDA & NA (I). National Defence Academy & Naval Academy Examination – NDA & NA (II). Combined Defense Services Exam – CDS (I). Combined Defense Services Exam – CDS (II). UPSC submits an annual report on the work done by it to the president. The president places the report of the commission before the parliament along with a memorandum with regard to the cases where the advice of the commission was not accepted and the reasons for such non-acceptance. The Commission consists of a maximum of 11 Members, including the Chairman. The Union Public Service Commission has been established under Article 315 of the Constitution of India. UPSC traces its origin to the first Public Services Commission established in 1926 and the Federal Public Services Commission established in 1935. 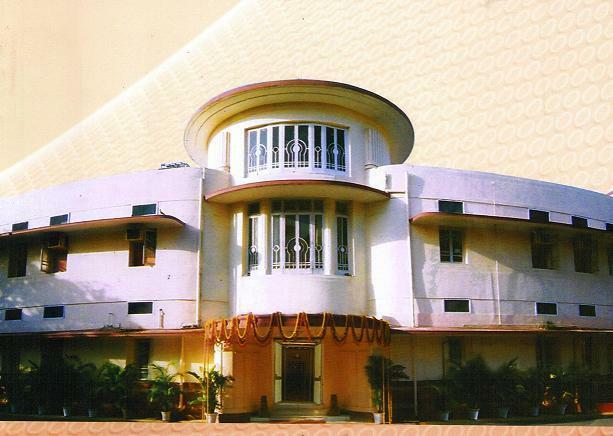 UPSC conducts exams to recruit candidates to both civil services as well as defence services. Sir iam goutam I am studying in Gitam university 1st year and I am very very avg and I love upsc and I am mad about it and I want become an IAS or IPS officer or any other services can I ?????????????? Sir I am Ravi and are student of the b.sc 1st year. I love and like upscale. This is my dream and I want crack upscale exam. But my family background poor pls convinced me what I do. I am 43 yrs old which upsc exams I can apply for ? I HAVE COMPLETED MY DEGREE IN BCOM COMPUTERS AND I WOULD LIKE TO APPLY FOR IAS AND CAN ANY ONE GUIDE ME TO APPLY OR SEND ME THE DETAILS OF IAS UPSC EXAM DATE FOR ME FOR YEAR 2018.
i want to become an IAS officer but i do not know ..from where i start my study . Could anyone tell me how to start study for crecking upsc exams.. I am the student from commerce backround. I am now studying in 2nd year Bcom. I want to be an Ias officer. But I m from rural area and i have money problem. With all these problem can i achieve my dream. Plz someone suggest me perfect strategy and study material. I am working at judicial department as junior clerk. My age is about 41 years. I am in open category. Whether I am eligible for upsc exam or not ? Hello sir..my dob is 2-5-1990. Can I aattend 2019 upcs IAS exam? Can i apply to upsc exam 2019? sir, my DOB is 06.10.2001 can i apply UPSC exam 2019? Sir, I want to write civil service exam. I just completed my graduation from Mahatma Gandhi university and my marks average .my age is 24 . am I eligible for civil service exam? Hello! 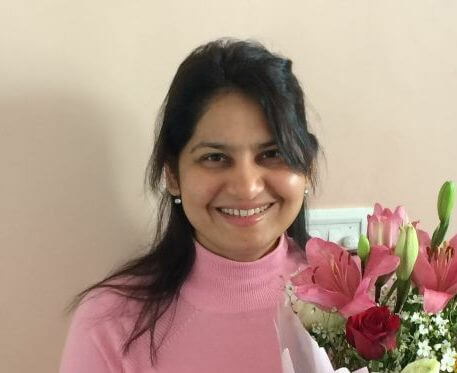 I m Aparna I m doing graduation from English Hons and I want to prepare for upsc but I m completely perplexed for the subjects please suggest me? ?